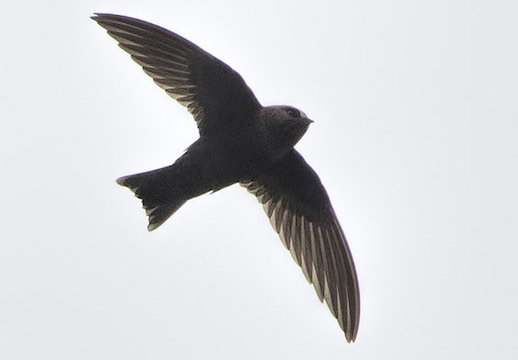 Black swift are the rarest and most mysterious of the North American swifts. 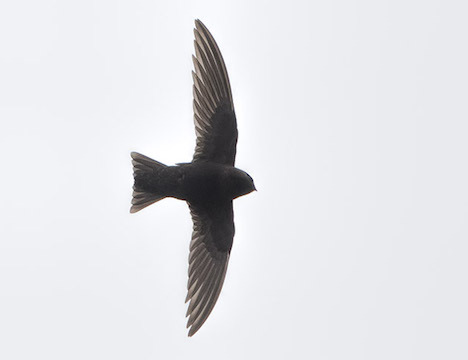 In southern California, they often appear for a day or two in spring, usually during stormy weather. 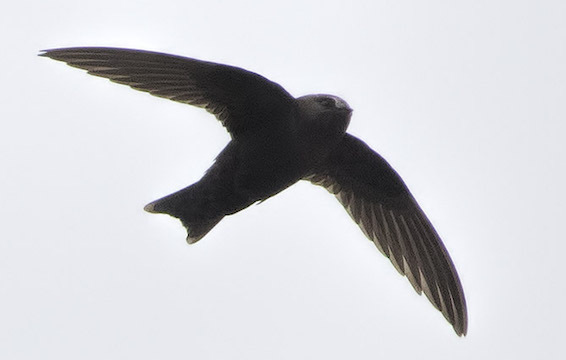 On such a day, a loose flock of 1-15 black swifts stayed very high over the San Jacinto Wildlife Area near Riverside and I managed to get a few recognizable photos (the images are highly cropped).